Around this time 5 years ago, I made the decision to apply for a PhD in Human Geography (if I am being specific - Gender and Urban Studies). Little did I know what I was getting myself into. My proposal was accepted. Yay!!! I thought - and I began my PhD October 2009. I will be very honest, it has been the toughest 4 and a half years of my life. I have had more downs than ups. I have cried, I have doubted myself, I have cried some more, had my self confidence shattered, cried again, doubted myself some more and throughout the whole period constantly questioned my decision to even embark on this journey. Minus the coffee - this is pretty much true. I wanted to quit so many times - after the end of my first year, at the beginning of my second year, the middle of my second year, during my fieldwork, when I came back from my fieldwork. Each time I was talked out of it. And then there was working through it all. Advice for anyone embarking on a PhD - fully funded or don't bother. The PhD is already stressful enough as it is without having to apply for part-funding here and there and also working part-time (and in the case of the last 3 months, full-time). Let's just say it hasn't been easy. And I would not have been able to make it through without my family and friends who kept me sane the entire time. I am happy to say though, that through it all I was able to survive. The best part, I got my thesis in last Monday. How did I feel? Light. I've watched TV - guilt free. Read - guilt free. I even watched a play - guilt free. Hung out with friends - guilt free. Slept in - guiltfree. Watched movies - guiltfree. Even went to the cinema - guiltfree. Enjoyed the rare sunshine - guilt free. It's still not over. The thesis is now with the examiners and I still need to have my viva (oral defense), but this last week has been the most relaxed I've felt in years. And I'm really loving it. 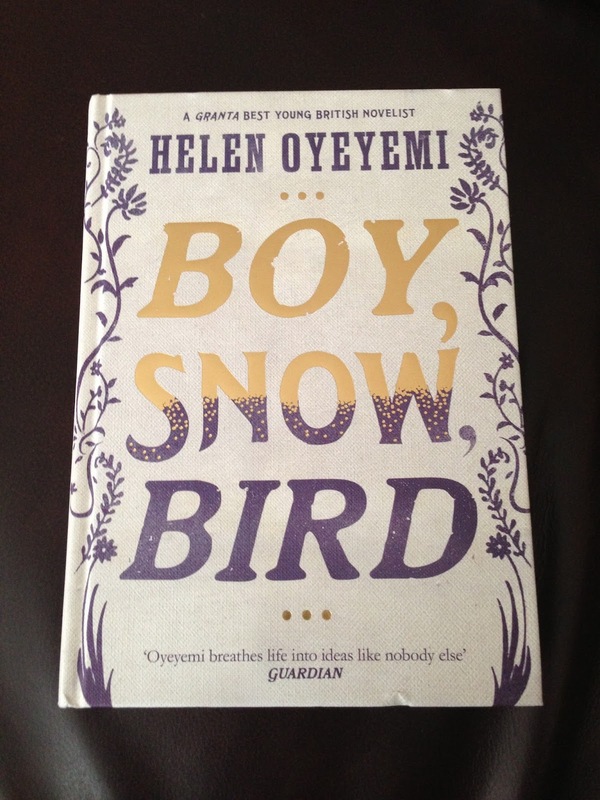 Also treated myself to a series I've been wanting to read forever - Aya - and also got a review copy of Boy, Snow, Bird courtesy of Picador. Well, now the thesis is in, I can go back to reading and blogging some more - which is one of the things I was really sad to have to cut back on. More than that I don't know. For now, it just feels really good to have the thesis in. That sounds like the experience I had w/ my masters thesis (which is why I'm doubtful I'd survive a doctoral program). It was definitely a really hard experience for me, but then again it might be different for different people. Thank you :). I have been enjoying the tv part - I am catching up on so many series and movies. 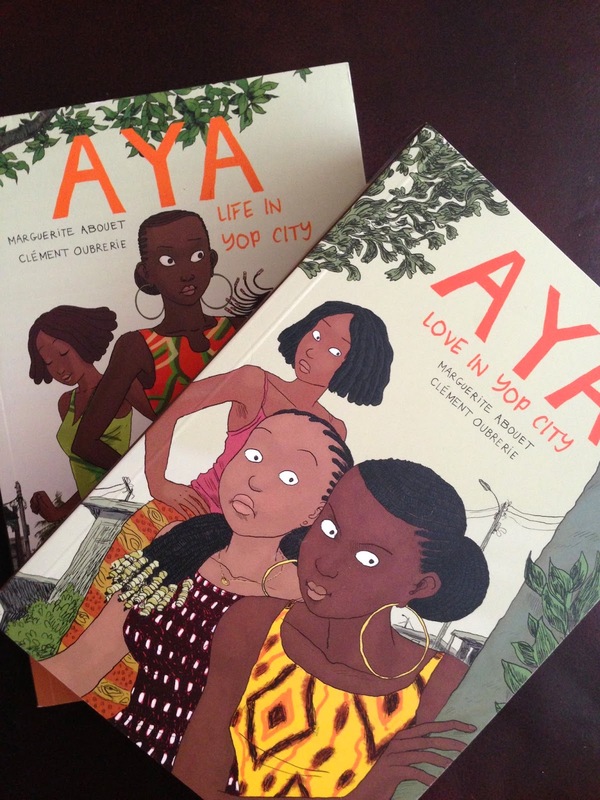 I can't wait to read the Aya series, I just saw the film this weekend in Brooklyn. It was HILARIOUS! I can't seem to find a reasonably priced copy though. I plan to read the entire series. I did get a used copy of book 3 when I was in Canada in December - it was about CAD$10. But you're right it's hard to find a reasonably priced copy. I had to close my eyes and buy the two volumes of the entire collection off of Amazon because I've been wanting to read the series for the longest time and can't seem to find it anywhere else in the UK. So far it's worth it - started reading volume one on the train this morning and already half way through and absolutely loving it. I've read your blog for years without commenting. I just had to change that today. Congrats on handing in your thesis. And good luck with your oral defence. Thank you for your kind words and wishes :). Every student should have a peek at this link in order to find information about PhD.